At Parkin, our unique ability to provide truly meaningful services to our clients is largely derived from the partnerships that we foster with them. 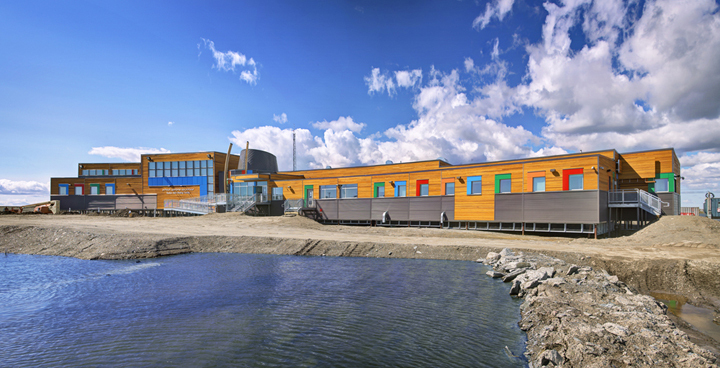 The Rankin Inlet Healing Facility (RIHF) exemplifies our efforts to personalize the project experience for our clients – a key approach in creating institutional designs that work. The RIHF reflects a non-conventional approach to incarceration. 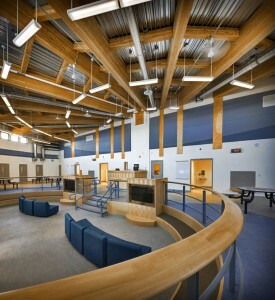 This 30, 300 square foot, 48-bed, medium and minimum security correctional centre – designed by Parkin and located on the shores of Hudson’s Bay in Nunavut Territory, Canada – took 32 months to construct, and opened in February 2012. The key objective of the facility is made clear in its name: to heal the community’s convicted offenders, so connecting the community to the facility was a major component in achieving this goal. 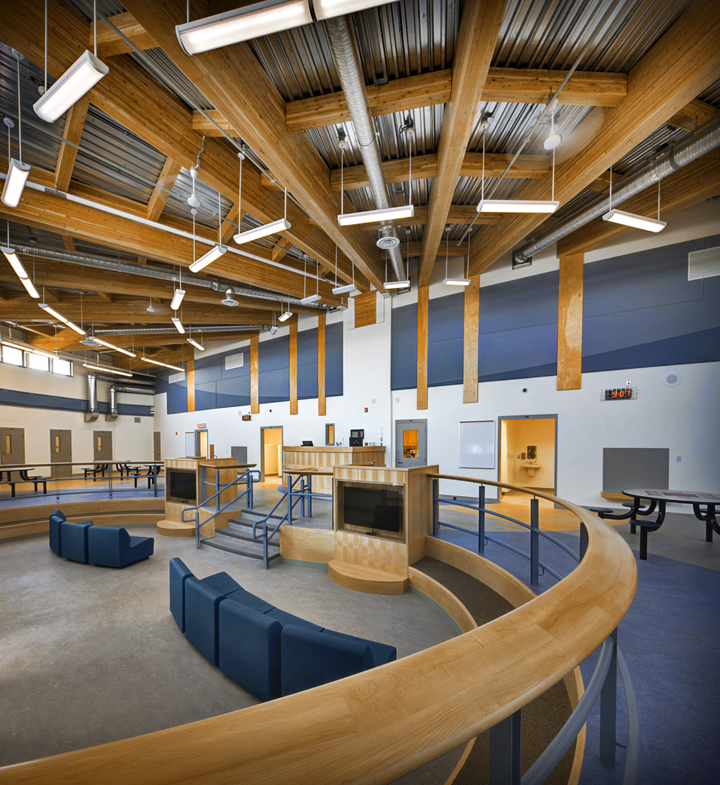 Parkin implemented design features carefully considered to support and enhance the healing process for community members and inmates. Nunavut has been experiencing high rates of anti-social behaviour, creating some of Canada’s highest rates of criminal code violations, spousal violence, youth violent crime and sexual assaults. Contrary to the North American trend, the Government of Nunavut is committed to a system of community-based justice, encouraging communities to take significant responsibility for offenders and victims. Nunavut community populations are small, so emphasis is on prevention and healing at the community level. Rather than separating the offender from the community, the community is seen to be part of the rehabilitation process. 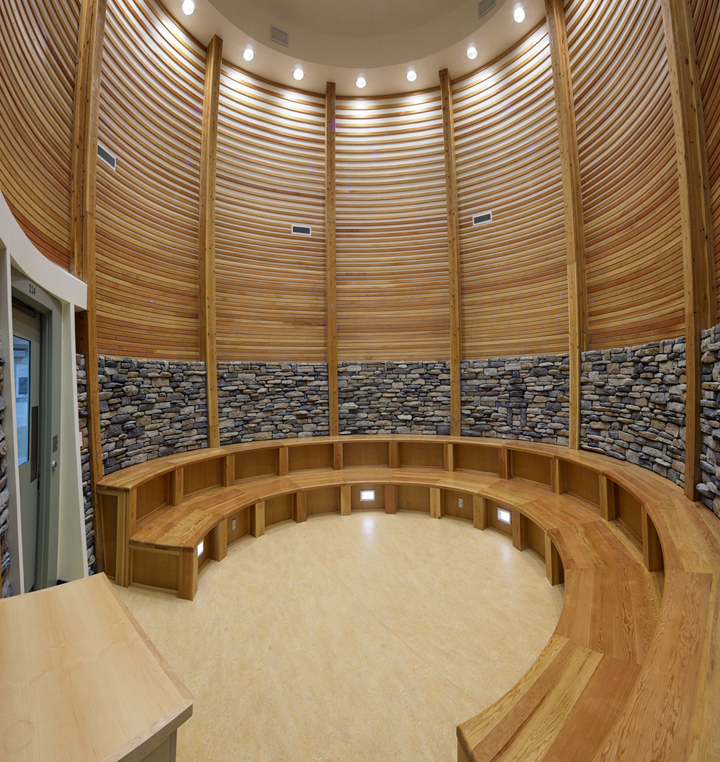 Designing for Healing vs. Correctional Facility – What’s the Difference? The RIHF takes in convicted territorial offenders, who serve sentences of less than two years in jail. Unlike a correctional facility, in which the main objective is to detain criminals, remove their privileges and enforce punishment, this healing facility offers a range of counselling programs and opportunities for offenders to interact with one another and their community. Boraks explains that the design of the building, through its use of shape, colour and transparency, encourages community members to enter the facility in order to partake in the rehabilitation process before release occurs. A number of interior spaces are designed to encourage interaction. Special emphasis is placed on contact among the inmates, correctional officers, the environment and community – while ensuring incarceration is secure. For example, there is a designated space for an elders’ program, where elders communicate their knowledge and guidance to inmates in a safe way. The Dayroom – which is the large room into which the cells open – follows the trajectory of the summer sun. 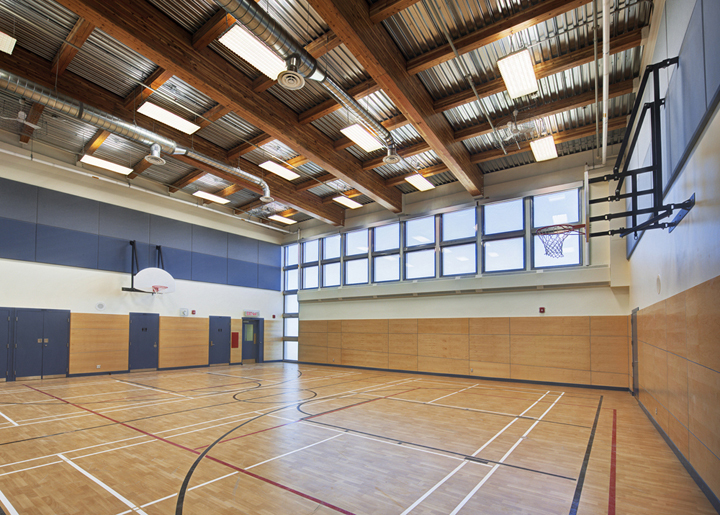 Within it, a number of defined spaces allow separate communal activities to take place simultaneously, including continual access to an exterior, enclosed yard. It’s the room where inmates eat, watch TV, play cards and interact with others. With few right angles, the curvilinear floor plan descends in harmony with the land. Inside, inmates have access to multi-purpose rooms with a maximum capacity of about 20, where they can participate in arts and crafts programs in the morning, or attend Alcoholics Anonymous meetings in the afternoon. A sitting area inside the facility features comfortable chairs and a flat screen television. The building includes two visiting areas: one open room – which the guards can view – with no separation between the inmates and their visitors; and another room in which inmates and visitors are separated by a glass window.